Oklahoma ProStart® is a school-to-career program developed by the National Restaurant Association Educational Foundation (NRAEF). Oklahoma ProStart® is designed to introduce juniors and seniors to careers in the foodservice industry. Through classroom activities, internships, and comprehensive exams, students have the chance to earn national certification. Oklahoma ProStart® is typically integrated into existing family & consumer science or career and technology education courses. The 2-year course includes classroom study utilizing professionally developed materials. Course materials include textbooks, student workbooks and exercises, videos, transparencies, and hands-on food preparation activities. The entire curriculum meets national skill standards and competencies specific to the hospitality industry and is approved and supported by the Oklahoma Department of Career and Technology Education. All Oklahoma ProStart® students are encouraged to complete a 400-hour paid, mentored internship and must complete it to earn the national certification. Students will typically work 10-20 hours per week in a variety of positions to develop a wide range of skills. A workplace mentor is assigned to meet with the student for approximately 30 minutes each week to provide on-going performance feedback, to review the ProStart® Competency Checklist and to connect classroom learning to actual job responsibilities. The ProStart® Certificate is awarded by the Educational Foundation of the NRA based on the student successfully completing both the academic and the work components of the ProStart® program. The certificate shows the industry that a student is motivated and interested in success. Certification is a major step that a student takes toward furthering his or her career. Who's Involved in Oklahoma ProStart®? There are many Oklahoma schools already using ProStart®; yours could be next! Incorporating ProStart® into your school is a simple process, beginning with the school purchase of ProStart® textbooks. Once the ProStart® curriculum is introduced in the classroom, teachers and students will receive support from ORA, including connecting the school to an industry mentor, providing scholarship opportunities, hosting the state competition, and offering professional development opportunities to educators. There is no annual fee or financial obligation. The level of support ORA offers a school depends on how active the school is in the ProStart® program. To learn more about the ORA's program or to take advantage of these wonderful benefits, contact Chandy Rice at (405) 942-8181 or via email at chandy@okrestaurants.com. This annual fall event is the largest trade show in the state of Oklahoma and the most important event for foodservice and hospitality industry professionals. Features the ORA Culinary Cook-off and the ORA Cocktail Shakedown. 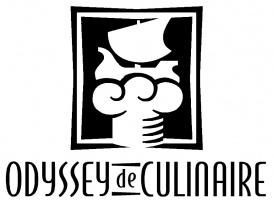 The dates and featured chefs for Odyssey de Culinaire 2019 have been set! The first dinner will be Thursday, July 18 at the River Spirit Casino Resort in Tulsa, and the second dinner will be Thursday, July 25 at the Skirvin Hilton Hotel in Oklahoma City. We hope to see you at one or both of these unique dinners benefitting the Oklahoma ProStart® program! Beginning October 1, first-time applicants applying for an alcohol server license will be required to attend a mandatory ABLE approved training course to receive their license. ServSafe Alcohol, a partnership between the Oklahoma Restaurant Association and the National Restaurant Association, is an on-line training course now approved to meet this new mandate. Receive a 33% discount with code OKALCOHOL. The goal of ORA Academy is to offer continuing education and professional development to particular demographics of ORA’s membership, specifically Management/Front-of-the-House training and Culinary/Back-of-the-House education. With the exception of the April Academy, all Management sessions will be from 9-11 am and Culinary sessions will be from 1-3 pm, and each session will be $25.